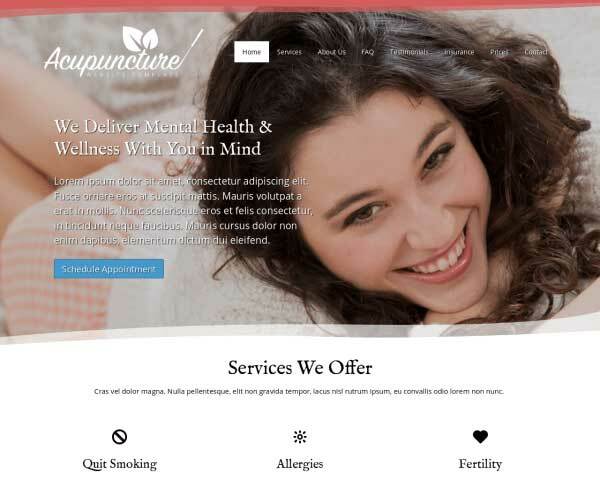 Promoting your business through a professional website built with the Dental Hygienist WordPress Theme means that you'll reach more people who can benefit from your services. 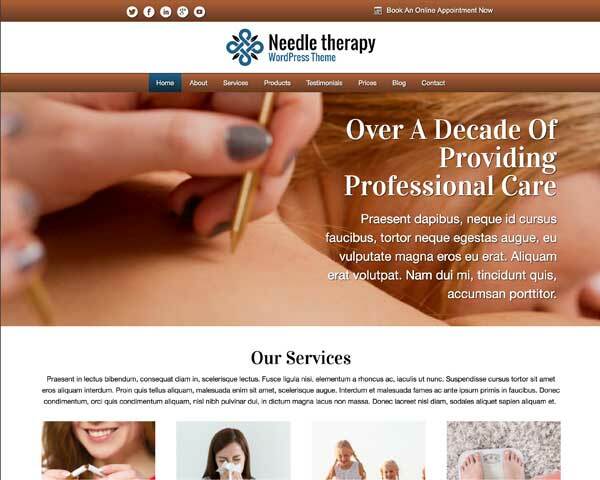 Just add your own text and photos to this pre-built WordPress theme ideal for dentists. 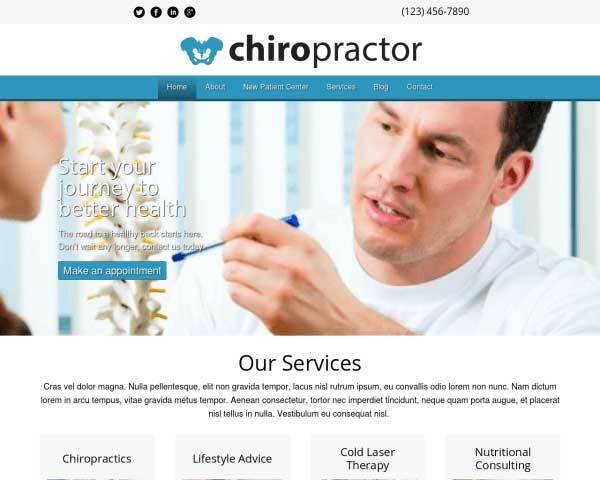 When building or expanding your dental business, building a website for your company can seem like an overwhelming task that takes time away from your work. That's why we've designed the Dental Hygienist WordPress Theme to help you get a complete dental website up and running in no time. 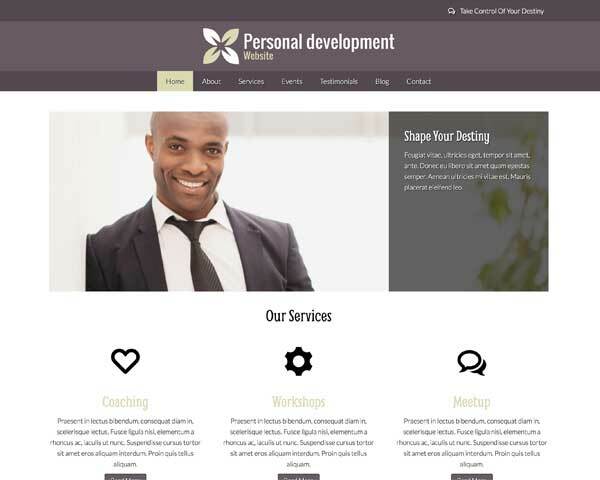 Just replace the demo text and upload your own photos to use this website template as is, or personalize the color scheme and adjust page layouts using our powerful yet intuitive front-end editor. 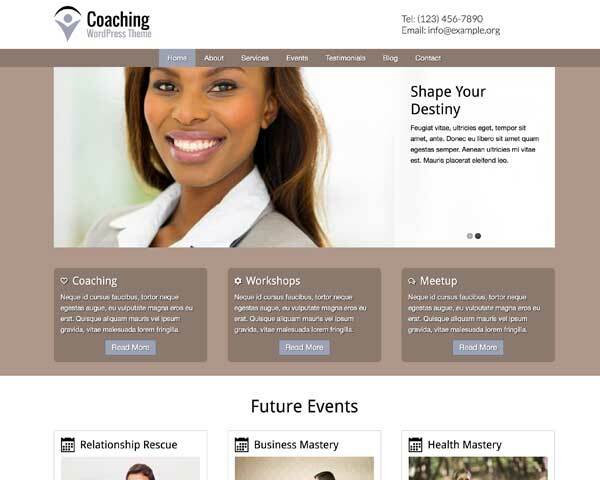 With drag and drop widgets and simple content management, a custom look and feel for your website can be achieved without any coding at all. 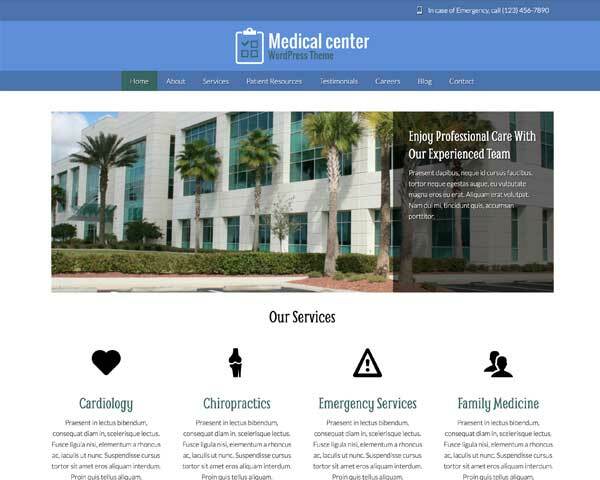 Your dental business needs a professional online presence so that clients can find you and learn about what you can do for them; the Dental Hygienist WordPress Theme makes building your new website a fun and easy job so you can quickly get back to what you do best. The Dental Hygienist WordPress Theme was made for professional dentists wanting to take their business to the next level by going online. Customers won't have to search to take the next step and get in contact with you with clear calls to action prominently displayed on every page of the Dental Hygienist WordPress Theme. A classic image slider is included on the homepage in the Dental Hygienist WordPress Theme, grabbing visitors' attention right from the start. The Dental Hygienist WordPress Theme makes it easy for prospective clients to reach you through the Contact page, featuring an integrated Google map and a handy form. No website can do without beautiful image galleries. 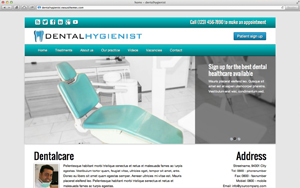 So our Dental Hygienist WordPress Theme has the option to create them quickly and simply. No external plugins are required so you're sure they integrate perfectly and symmetrically on every page. The Dental Hygienist WordPress Theme includes individual pages already set up for you to go into detail about each of the services your business has to offer to pique the interest of future clients. Trigger people to follow your brand on your social channels like YouTube, Twitter and Facebook. 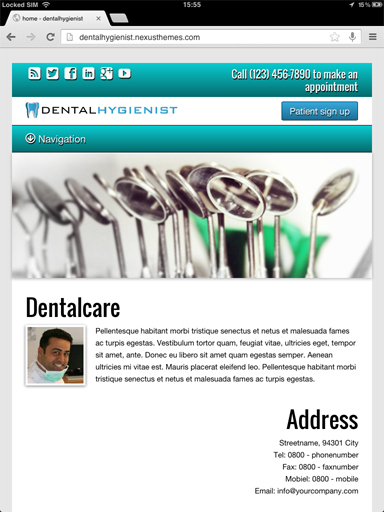 The Dental Hygienist WordPress Theme will display all your social channels on your website. On the About Us page of the Dental Hygienist WordPress Theme, share your story and introduce your staff. This personal touch can make the difference for clients in choosing your team. Hiring good people for your dental business starts with a vacancies overview. 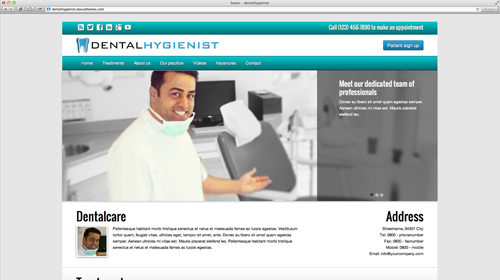 We've incorporated this feature in the Dental Hygienist WordPress Theme. 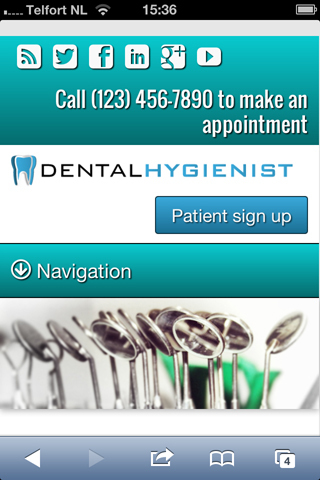 The Dental Hygienist WordPress Theme makes it easier than ever to reach customers on their mobile devices. 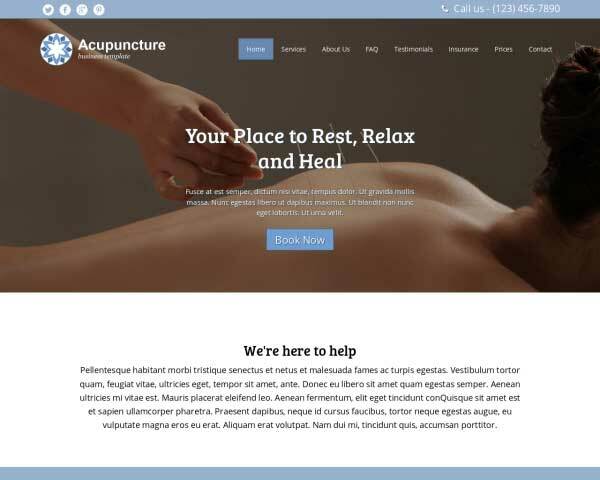 Since the theme is responsive to devices of all sizes, images, text and menus automatically adjust to your customers screens. 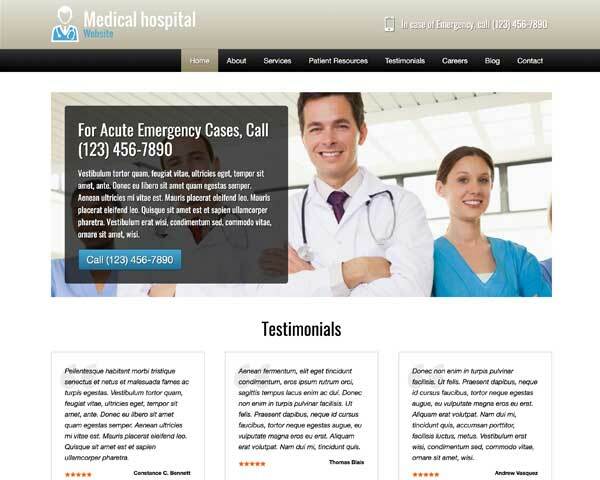 This way you never have to miss out on quote requests from mobile visitors. There's even a tap to call button that your customers can use to get a live quote!